CITY OF TAGUM, DAVAO DEL NORTE – Mayor Rey T. Uy will give Tagumeño children a chance to a close encounter with dinosaurs in time for the opening of the Dinosaurs Alive Theme Park in this city’s Energy Park in Barangay Apokon last May 3, 2012. 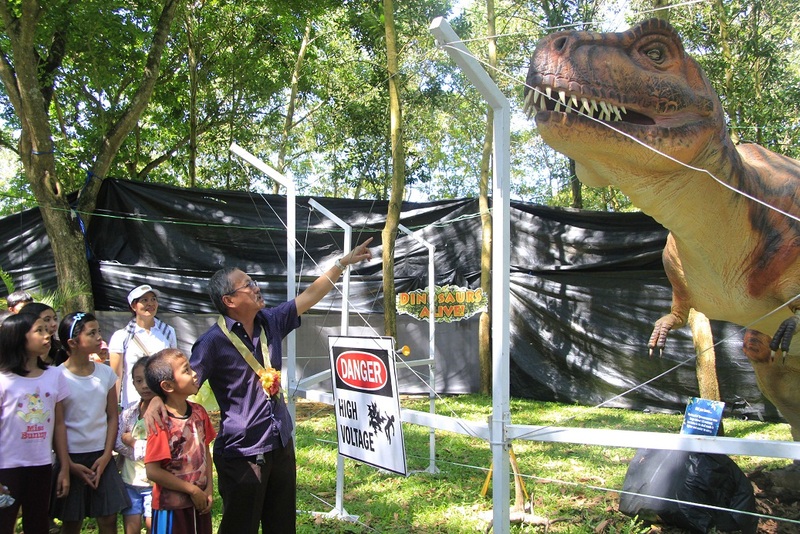 The selected children coming from the 23 barangays of Tagum will have a trip down to the dinosaur age with the installment of life-size animals in the sprawling park, courtesy of the City Government of Tagum. Mayor Uy believes this is one way of giving the Tagumeño children a much-needed introduction to the beasts which scientists believed first appeared during the Jurassic period, approximately 230 million years ago. City of Tagum 1st Councilor De Carlo “Oyo” Uy led in the ceremonial ribbon-cutting ceremony of the said park last May 3, along with kids from Barangay Visayan Village, Barangay Magugpo East and Barangay Apokon who were the first batch to witness the moving dinosaur replicas made more realistic with sounds. Assisting the city’s senior councilor were fellow lawmaker Coun. Nicandro “Nickel” Suaybaguio and City Administrator Rafael E. Abrenica. The life-size replicas of dinosaurs originally came from Australia and have been rotating in key cities in the Philippines for exhibition, confirmed Miss Mercy U. Bustamante, one of the administrators of the Dinosaurs Alive Theme Park. 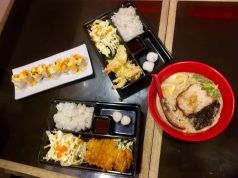 The said park runs until from May 3 to 9 before moving to its next destination which is Baguio City. The Dinosaurs Alive Theme Park just finished exhibiting at Cebu City and Davao City. Regular ticket price is tagged at 150 pesos each while children will have to pay 75 pesos per ticket.